Sometimes we get too busy to ask the why questions. We just swallow all that’s in front of us, without digesting, and go on along with the whatever that we have to deal with at the time. I like Chik-fil-A. 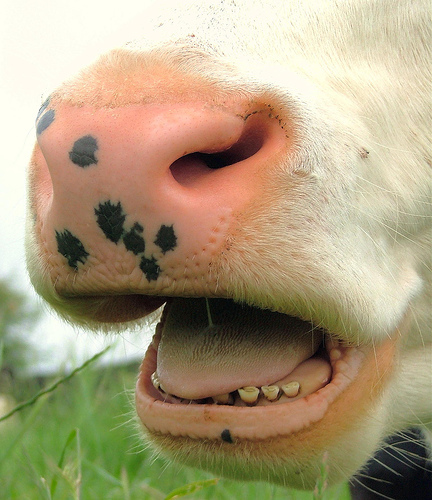 There’s a lot to be said for cows and they do make great chicken sandwich advocates. There might also be something in their digestive systems that’s worthy of investigation. Rumination . . . chewing the cud. Cow’s swallow it first, then chew it up later before finally digesting it. “Gross” would be the response of my 14 year old daughter, Madeline; and she may well be right. After the grass is consumed, why bring it back up for re-examination? Even if there’s something to be learned, the whole process seems just a little . . . ummmh, nauseating? Nonetheless, here we go . . .
It’s a little hard to put my finger on it, but there’s something about the work we’re getting that’s just different. As an example, we printed 50 football program books this week just in time for the last game of the regular season. Football programs used to be a big deal . . . large saddle stitched booklets with lots of ads printed in decent runs in time for the first game of the season. This one was thrown together as an afterthought, perhaps to keep the businesses who purchased ads from asking for their money back? Two weeks ago, we printed a very nice invitation for a health care customer. Expensive paper, process color, good press run, scored and folded, tabbed 3 times to meet USPS specs and mailed at the very last minute, probably a week later than optimum to reach the target audience. We have an end of the fiscal year audit booklet in-house for a municipality whose fiscal year ended June 30. We thought the book was due by September 30. It’s been stuck in our hold bin for over 2 weeks, waiting on revisions from the customer. And then there are the envelopes printed for a communications company in a hurry, that have been sitting on the shelf waiting for pickup since October 5; the business card design for the new company that had their grand opening scheduled for October 11; and the display board and banner stand that actually did get designed, proofed, completed and shipped in 5 working days, thanks to UPS Second Day Air and our very good tradeshow exhibit supplier. Our customers are firing before they aim. This is probably better for us than when they don’t fire at all, but I think there might be a better way. It’s something to ruminate about . . .